Ideal for large low power (nanoWatt) and connectivity applications that benefit from the availability of four serial ports: double synchronous serial ports (I²C™ and SPI™) and double asynchronous (LIN capable) serial ports. Large amounts of RAM memory for buffering and FLASH program memory make it ideal for instrumentation panels, TCP/IP enabled embedded applications as well as metering and industrial control and monitoring applications. 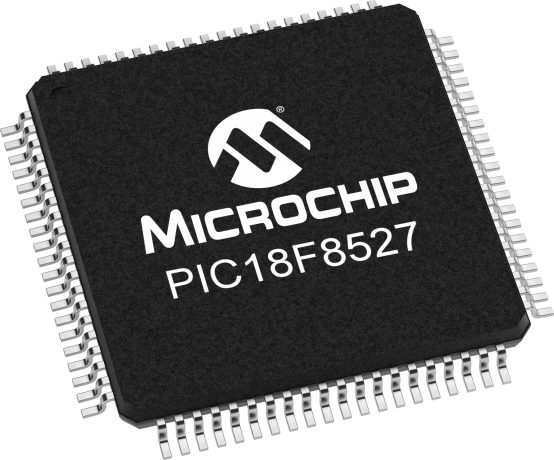 While operating up to 40 MHz, it is also backward software and hardware compatible with the PIC18F8620/8621.